Yesterday Chief Rufus Copage of Sipekne’katik First Nation sent a letter to Premier Stephen McNeil notifying him of the upcoming community referendum on the controversial Alton Natural Gas Storage Project. Salt cavern gas storage has faced opposition from the local community, Indigenous groups, environmental groups as well as health & safety experts. In the letter Copage outlines a process necessary for consent to be given to the project. This includes extensive engagement with the communities by Alton Gas following by referendums held by both the Sipekne’katik and Millbrook First Nations. Consultation has been ongoing with the'Mi'kmaq Rights Initiative' (KMKNO) which does not represent Sipekne'katik First Nation. The letter states that no final decision be made on the outstanding permits required for Alton Gas while this process is ongoing. You can read the letter published by the Halifax Media Co-op here. “The U.N Declaration on the Rights of Indigenous Peoples, it talks about the need for consultation leading up to consent when necessary. 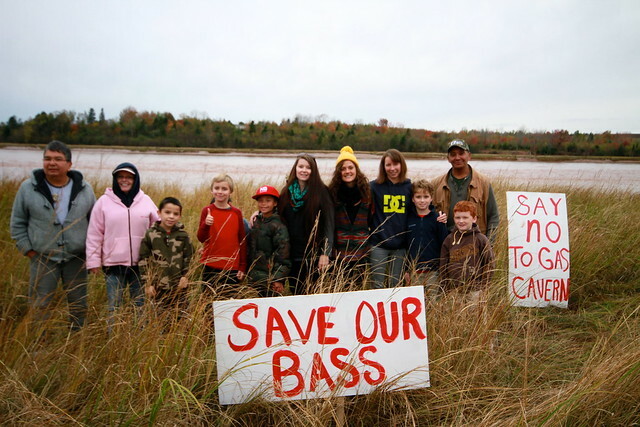 This is a situation, if this is the last Striped Bass spawning ground in Nova Scotia, and the Mi'kmaq make stores of that and rely on that still, to this day, for food sources, then it is probably one of the higher thresholds for rights related to consultation and consent” said Cheryl Maloney, president of the Nova Scotia Native Women's Association and Millbrook councillor. The Alton Gas Storage project has been under construction for over a year in the Colchester County. 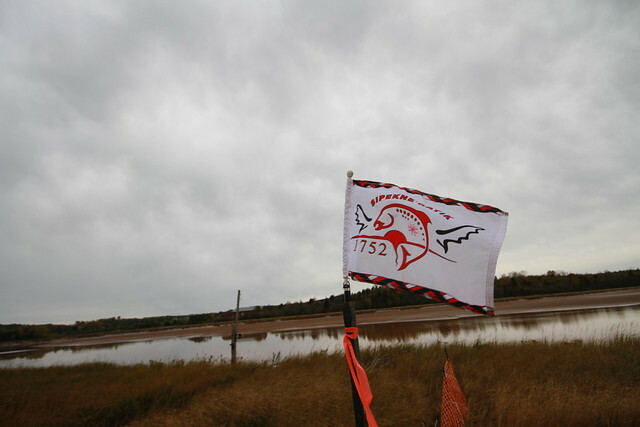 This project is located along the Shubenacadie River, a tidal bore river which flows into Cobequid Bay. Local and regional groups have spoken out against this project for the dangers it poses to the river ecosystem, local residents and climate. Alton Gas applied to develop salt caverns for storage of natural gas and brine discharge infrastructure in 2007. The proposal outlines plans to take in water from the Shubenacadie River used to hollow out the salt from the caverns, making room for natural gas to be stored. This would create a brine mixture that would be mixed with water in ponds next to the Estuary before being released back to the river. It should be noted that this proposal and environmental assessment did not include the construction of a natural gas pipeline, which is atypical as it does now allow for evaluation of overlapping effects. Once completed, these salt caverns would be used to store natural gas during times of low demand. This gas would then be accessible during winter months when the demand, and price, is higher. Methane has been leaking from an underground well in Southern California since October is an environmental nightmare, driving thousands of people from their homes. 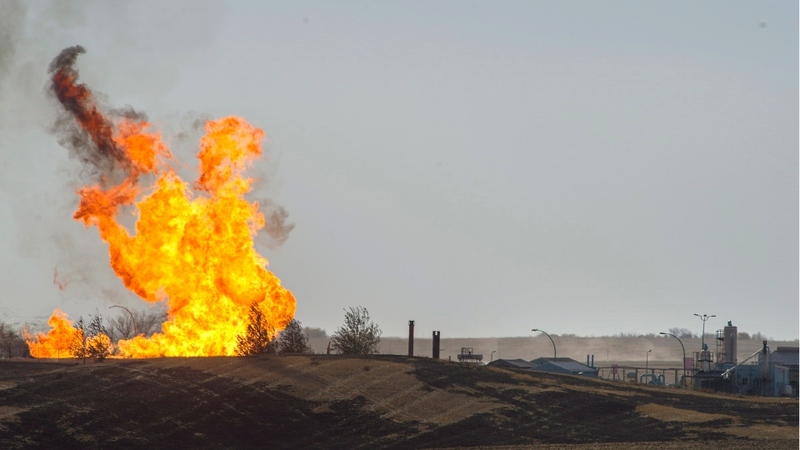 Officials are currently faced with decision of trying to trap and burn the gas, with risk of explosion, or continuing to watch this climate-menacing gas escape to our atmosphere contributing to runaway climate change. Unfortunately, the unstoppable methane gas leak in California is far from an outlier in the world of underground natural gas storage. An independent quantitative risk analysis done in 2015 by Rob Mackenzie for a similar project in Seneca Lake looked at the risk of underground hydrocarbon storage, including salt cavern storage. His risk analysis concluded that salt cavern storage poses an unacceptable risk due to the medium likelihood and extremely serious to serious consequences. As of 2013 there were 40 underground natural gas storage facilities in the US. Of these, there have been 20 serious or extremely serious incidents between 1972 to 2012. The average number of salt cavern storage facilities in operation through most of the last two decades is close to 30, this gives an incidence rate of more than 65% for the US (the worldwide average is 40%, although this is assumed to be lower from under reporting). Causes of failure includes: corroded castings, equipment failure, brine erosion leading to breach, leakage into other geological formations, and human error. Worldwide, the percentage of incidents in involving casualties at salt cavern facilities in 2005 was 13.6% of facilities operational in 2005. These risks do not even include the concerns raised around dumping of brine into the Shubenacadie river outlined in third-party review conducted by Conestoga-Rovers & Associates. This review was commissioned by Kwilmu’kw Maw-klusuaqn Negotiation Office, and caused the Assembly of Nova Scotia Mi’kmaq Chiefs to stall the Project over environmental concerns. Effects to Atlantic Salmon, projected under the Species at Risk Act, and striped bass, listed as endangered under COSEWIC, were listed as areas of serious concern in the review. There are several permits from various provincial regulators still required for this project to move ahead. In the coming weeks it will be important for the broad coalition of people concerned with this project to make their views known. More information on how you can help will be released. Follow the Concerns About The Alton Natural Gas Storage Project Facebook page for updates from the community.